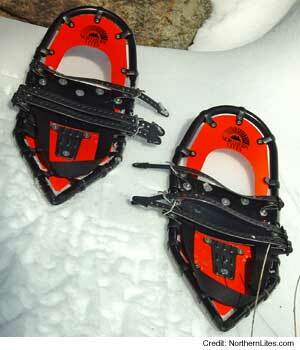 I've got the newer version of the Race snowshoe (purchased in 2007) and have been a fan for a while now. I can run in them, just as intended, and they seem to give me a little bit of float. 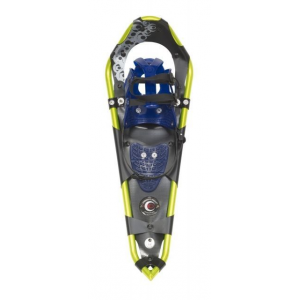 I mostly use these for fitness purposes (ie running, I can do 15 flat in a 5k, without the snowshoes on of course) as I feel these help me develop more power in my legs. Traction in these shoes has been good, though I haven't gone on anything extremely dicey yet in the 70+ miles I've ran on them. Took a bit of finish off going across a sketchy rock portion, totally my fault but to Redfeather's credit I see no rust or corrosion where I lost the paint. The binding system holds my feet securely in place, though I am always the last of my friends to get my bindings on and I don't hear them complaining either. What struck me about these shoes was how big they are. 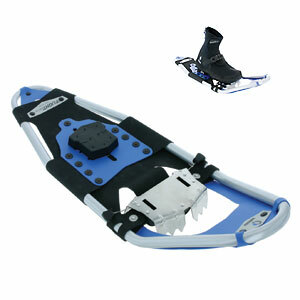 They are generally wider and longer compared to Atlas or Tubbs' running/race snowshoes. Gotta love that they are made right across the river in La Crosse, WI. Hate to say it though, but for my purposes, if I had to choose again, I'd go with the new 2009 Atlas Race shoes. 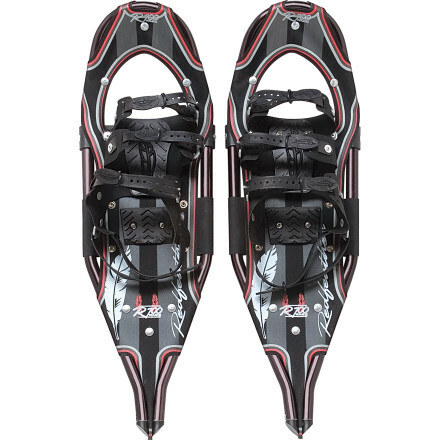 They are over a pound lighter than these, with a more conducive profile to running and faster binding system. 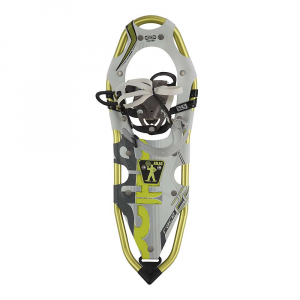 Redfeather had a great run with these, but if you want the world's fastest snowshoe this is not it. The Redfeather Race Series is not available from the stores we monitor. It was last seen August 27, 2016	at Sierra.